The monkey mother and removable baby is a quality product that teaches your children the dynamics of the care of the parent toward their child. 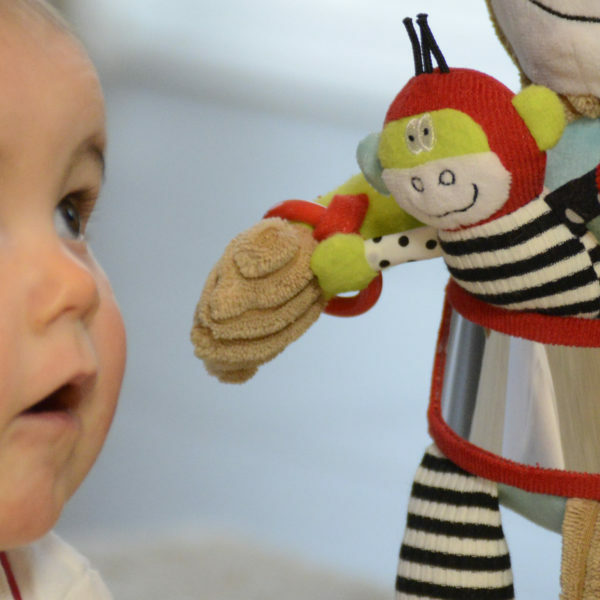 The removable baby monkey sits in a pocket on the front and the pocket contains a mirror. The bird on the arm of the mother contains a squeak. One of the mother’s ears is a teether. The mother has two plastic ribbons attached to the right hand arm and ribbons attached to the left foot. 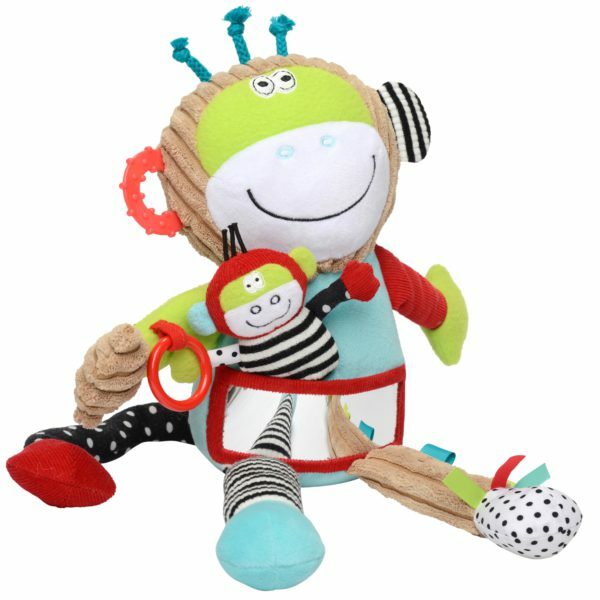 The baby monkey contains a rattle and the mother monkey’ tail contains a bell to expose your children to sounds. There’s embroidery on the face and fabric texture throughout the product. The product contains bright colors and the fabric is a black and white contrast to enhance visual stimulation. 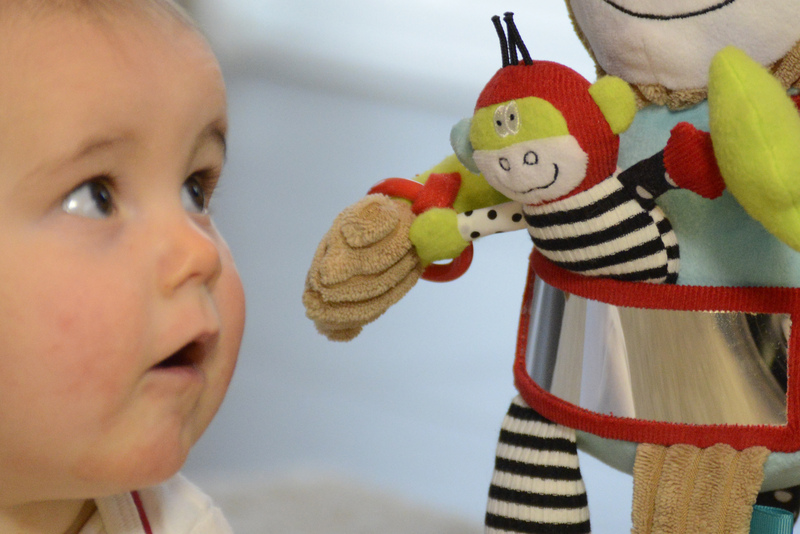 The monkey also contains a removable dragonfly in the back pocket and a leaf teether.